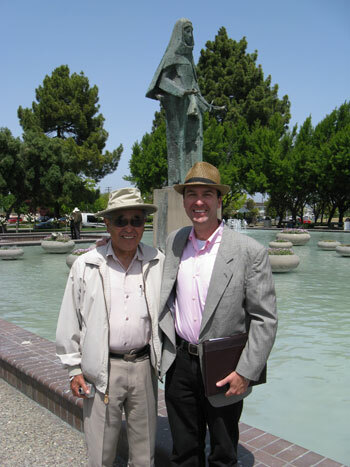 The son of Japanese immigrants, Hanamoto grew up on his family’s fruit farm near Auburn, California, and in 1942 was interned with them and other American citizens of Japanese ancestry at the Tule Lake War Relocation Center. 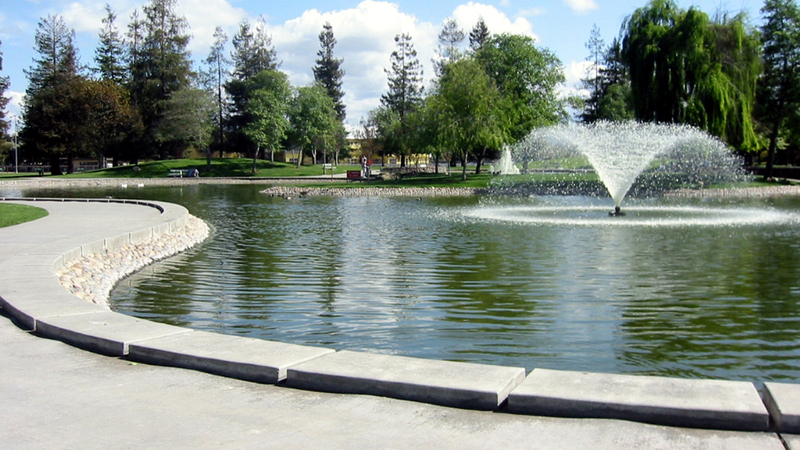 He went on, however, to serve in the U.S. Armed Forces during World War II, and thereafter returned to Sierra Community College for his A.A. degree in 1946, before earning his B.S. degree in landscape architecture in 1950 at the University of California, Berkeley. 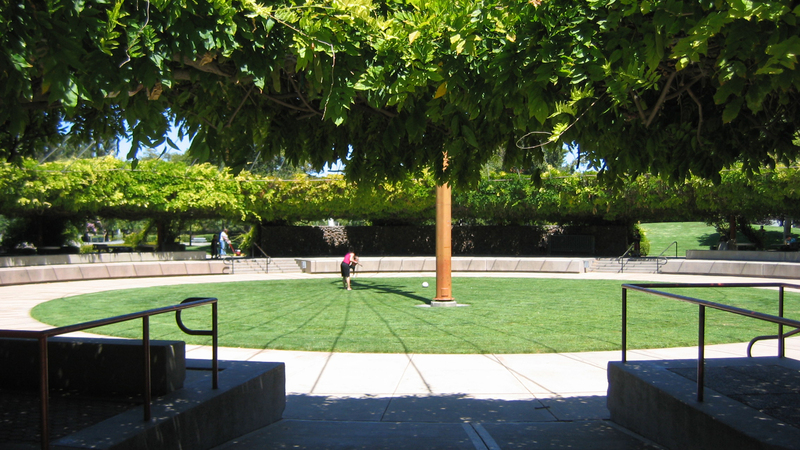 In 1956, he became a junior partner in the landscape architecture firm Eckbo, Royston & Williams, and two years later was a full partner in Royston, Hanamoto & Mayes, in San Francisco. The firm eventually became Royston, Hanamoto, Alley & Abey, from which he would retire in 1997. 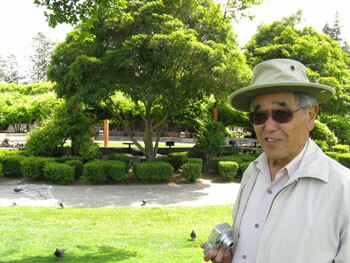 Throughout his career, Hanamoto helped to re-define the scope of landscape architecture and was an innovator in environmental planning and assessment. His study of the Willamette River Greenway (circa 1975) notably incorporated aerial mapping, and the reports that he produced (1976 – 1977) for the 116-square-mile Golden Gate National Recreation Area continue to be impactful. His many overseas projects include the Taman Kiara National Arboretum and the National Heroes Cemetery, both in Kuala Lumpur. Among many professional honors, Hanamoto was made a Fellow of the American Society of Landscape Architects in 1984, and for his military service he was awarded the Congressional Gold Medal on November 2, 2011. Asa Hanamoto died at his home in Mill Valley, California on April 9, 2015. Editor's Note: This Pioneers biography is posted on the occasion of Asa Hanamoto's passing. 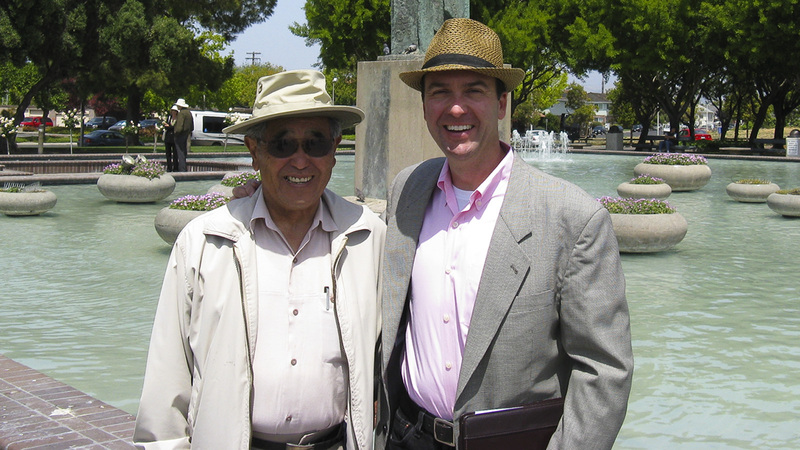 The son of Japanese immigrants, Asa Hanamoto was born on November 30, 1923, in Lincoln, California. One of six children, he grew up on his family’s fruit farm near Auburn, California, where he also attended high school. Hanamoto was completing his first semester at nearby Sierra Community College in December of 1941, when Japan attacked Pearl Harbor. He later recalled that, as a 19-year-old, he had little understanding of the political animosity between Japan and the U.S., and was shocked and dismayed by the event. Uncertain about his future, he returned home from school in May of 1942 only to be sent with his family to the Tule Lake War Relocation Center in Northern California, a result of Executive Order 9066, which authorized the internment of all American citizens of Japanese ancestry and resident Japanese aliens. Hanamoto was eventually able to leave the confines of the Tule Lake Center as part of a temporary agricultural labor program, which sent him to Southern Idaho, Oregon, and Utah. During this time, he signed papers indicating his willingness to serve in the U.S. Armed Forces, and in 1944, while working in Salt Lake City, Hanamoto received a conscription notice from the Army. After completing his service, Hanamoto returned to school at Sierra Community College and received his A.A. degree in 1946. He went on to the University of California, Berkeley, where he earned a B.S. in landscape architecture in 1950. While at Berkeley, Hanamoto was a student of Robert Royston. Upon returning from his own service in the war effort, Royston teamed with fellow landscape architects Garrett Eckbo and Ed Williams to form the landscape architecture firm Eckbo, Royston & Williams. Hanamoto joined the firm after graduation and became a junior partner in 1956. In 1958 Eckbo, Royston & Williams was dissolved and Hanamoto joined Royston as a full partner in Royston, Hanamoto & Mayes, in San Francisco. This partnership grew and eventually became Royston, Hanamoto, Alley & Abey, the firm that Hanamoto retired from in 1997. 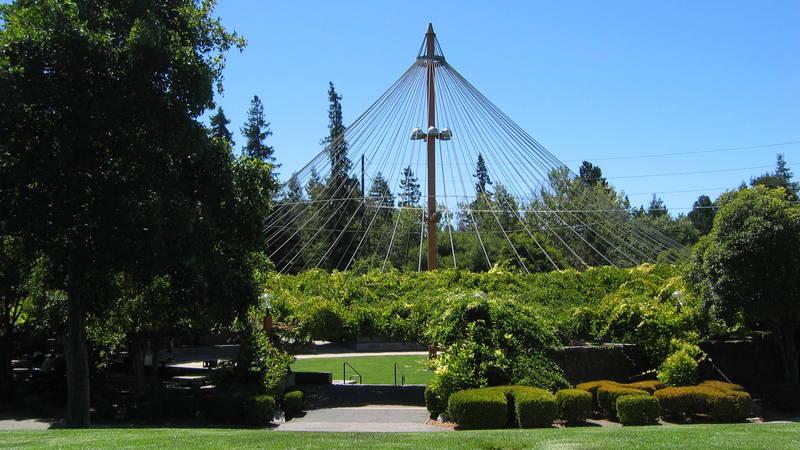 In the early years of Hanamoto’s career, there were very few practicing landscape architects in Northern California, and firms tended to be small, with residential work predominating. 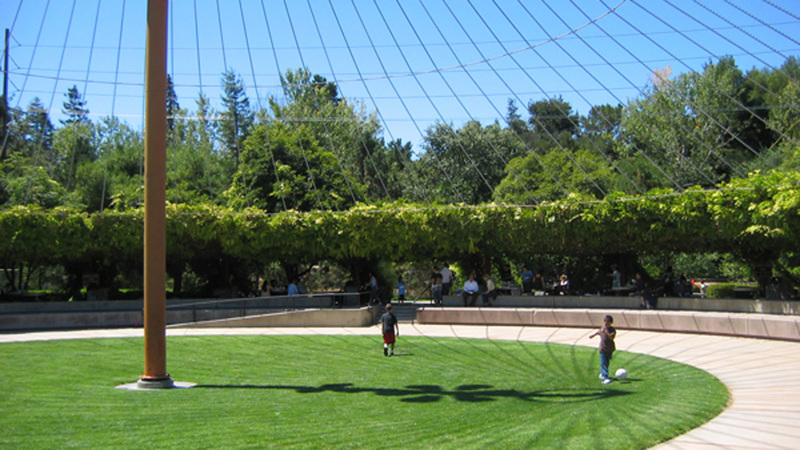 But with the onset of a building boom fueled by post-War prosperity, and a significant increase in California’s population, opportunities for landscape architects increased dramatically. Over a career that spanned five decades, Hanamoto helped define and sustain an increasingly complex practice model for landscape architecture, one that responded to the growth of the profession. He focused primarily on public projects, such as parks, campuses, and recreational designs, and his innovative work in the emerging areas of environmental planning and assessment was particularly important. 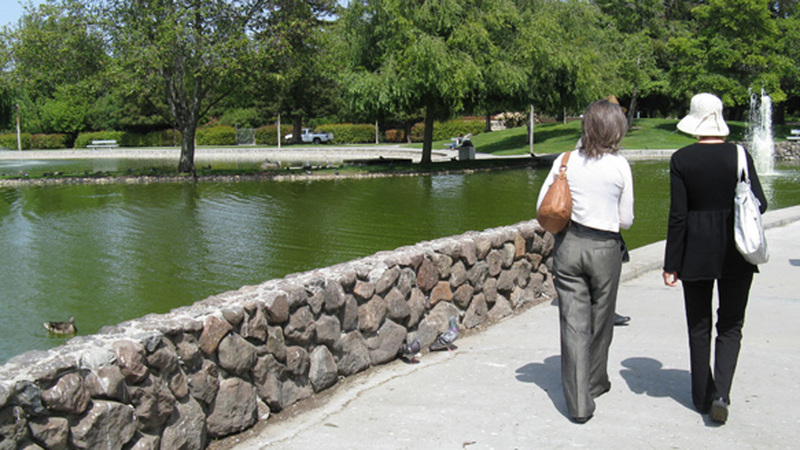 The success of the Willamette River Greenway Study led the firm (then called Royston, Hanamoto, Beck & Abey; RHBA) to other nationally and internationally significant environmental planning efforts, including the relocation of the town of North Bonneville, Washington, and projects in Taiwan, Malaysia, Indonesia, and Mexico. Hanamoto’s most significant overseas planning work includes the Taman Kiara National Arboretum and the National Heroes Cemetery, both in Kuala Lumpur. Closer to home, Hanamoto applied his planning expertise to the formation of the Golden Gate National Recreation Area (GGNRA). 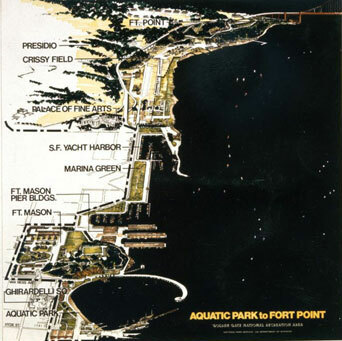 As a technical consultant to the National Park Service, RHBA assisted with the environmental assessment and planning for this sprawling 116-square-mile project, and Hanamoto led the RHBA team in preparing the two fundamental reports: the Golden Gate National Recreation Area South Unit, Park Alternatives (1976); and the Golden Gate National Recreation Area Muir Woods, Fort Point, Point Reyes Management Consultation Report (1977). In that role, he helped establish management plans that still guide the GGNRA. 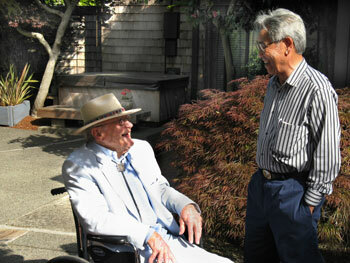 Hanamoto long remained active as a landscape architect and as a promoter of his profession. 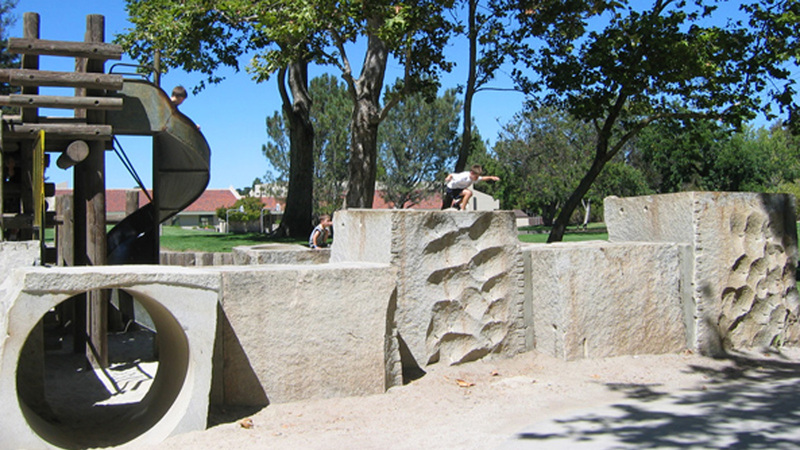 In 2012, with former business partner Kaz Abey, he designed monuments and a commemorative planting at the west entry of the University of California, Berkeley campus, which recognize the contributions of Japanese alumni. He served on the Roster of Visiting Evaluators (ROVE) for schools of landscape architecture, and in 1984 he was appointed to the Landscape Architecture Accreditation Board (LAAB). That same year, he was made a Fellow of the American Society of Landscape Architects. He also served as a subject-matter expert on the oral examination panel of the State of California Council of Landscape Architects Registration Board (CLARB). In 2006 he received the Distinguished Alumnus Award from the College of Environmental Design, University of California, Berkeley, for exceptional professional achievement in landscape architecture. For his efforts during World War II in the Military Intelligence Service, Hanamoto was awarded the Congressional Gold Medal on November 2, 2011. The Congressional Gold Medal is bestowed by the United States Congress and is, along with the Presidential Medal of Freedom, the highest civilian award in the U.S. Asa Hanamoto died at his home in Mill Valley, California on April 9, 2015. Rainey, Reuben M., and J.C. Miller. 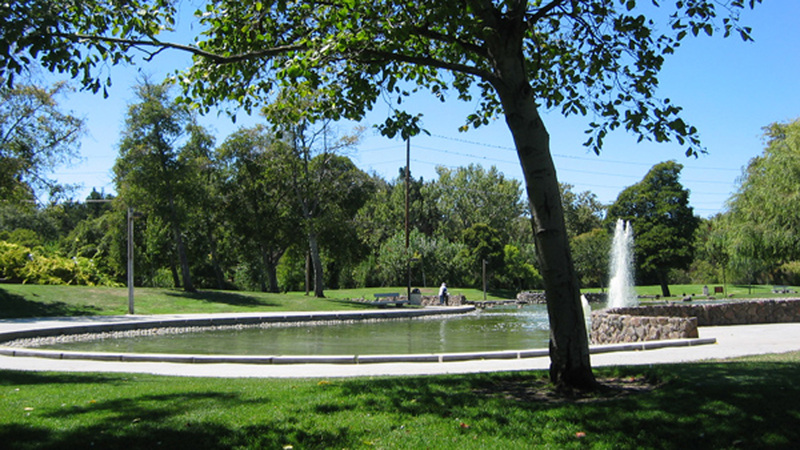 Modern Public Gardens: Robert Royston and the Suburban Park. William Stout Publishers, 2006. Royston, Robert N. “Getting the Feel for a New Town Site and Its Design.” Landscape Architecture, Vol. 66:5 (Spring 1976), pp. 432-443.